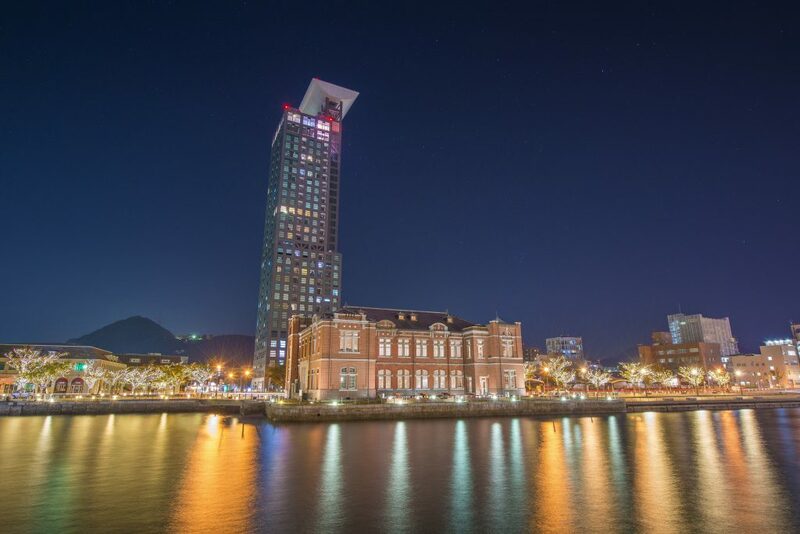 Kitakyushu is close to many Asian countries, and because it is conveniently located on the strait connecting Tokyo and Shanghai, it has been blessed with prosperity as a gateway to Asia and as an industrial base in Japan. 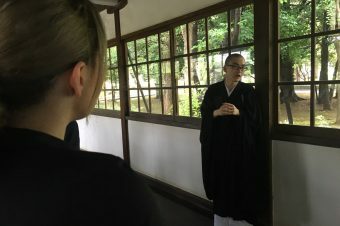 Have you ever heard of the Meiji Restoration? It is one of the most influential political revolutions in all of Japanese history. In 1868, the general’s family, the Tokugawa family, lost political power. Meanwhile, the emperor regained his power back under the Meiji emperor’s policy and activation. That is the origin of the current political movement aka The Era of Exclusive Reconstruction in Meiji, which delivered modernism and westernization to Japan. The famous image of Japan before the Meiji Revolution is commonly of the “Samurai.” They brought Japanese swords called katanas everywhere they went, and they were experts at battle. Most of all, they contributed to the lord of their land called Daimyo. Daimyo is the term for lords who owned Japanese castles. They use to live and own their own castles. 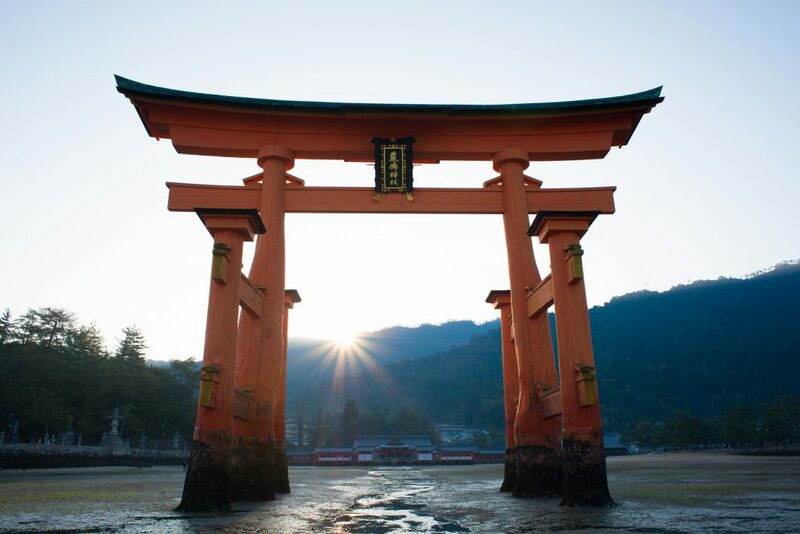 Another famous symbol of Japanese history over the centuries would be shrines and temples. 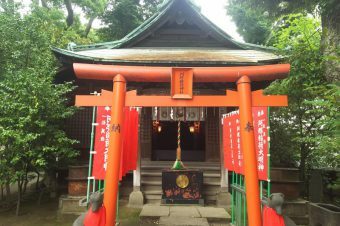 Temples and shrines are the center of Japanese culture and have always been linked to the Japanese people’s way of life. 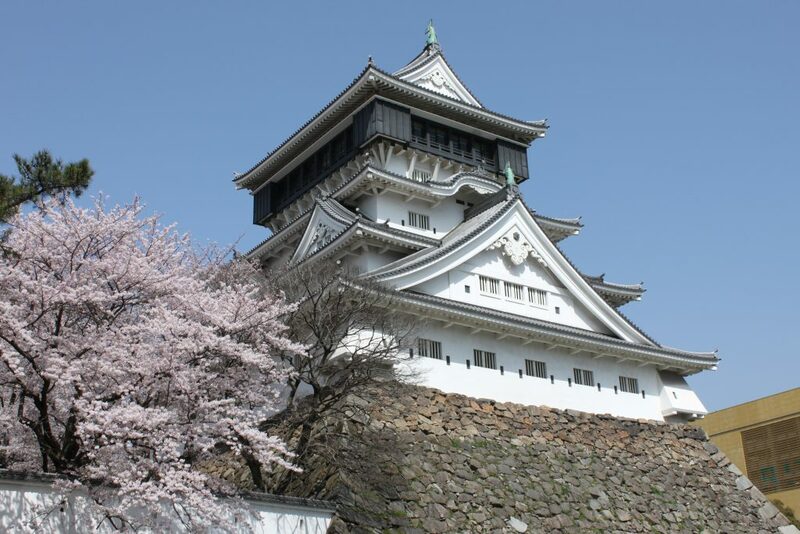 The Kokura Castle faces the Kanmon Straits, which is considered an important connection for transportation between Japan’s main island and the island of Kyushu.T Because of this prime location, many castles and forts were built here long ago. This location held the famous fights between different go-zoku (the Japanese term for powerful and wealthy families. Kokura-Jou’s (Kokura castle) history starts at the same time that Mouri built the castle from China region to here in the end of Sengoku era(1569). After Akitane Takahashi and Katsunobu Mouri living there, as a result of Sekigahara war, Tadaoki Hosokawa entered in here and extended building castle in earnest. It took seven years since 1602. Tadanori created a commerce and industry protection policy that covered merchantmen and artisans of the town. 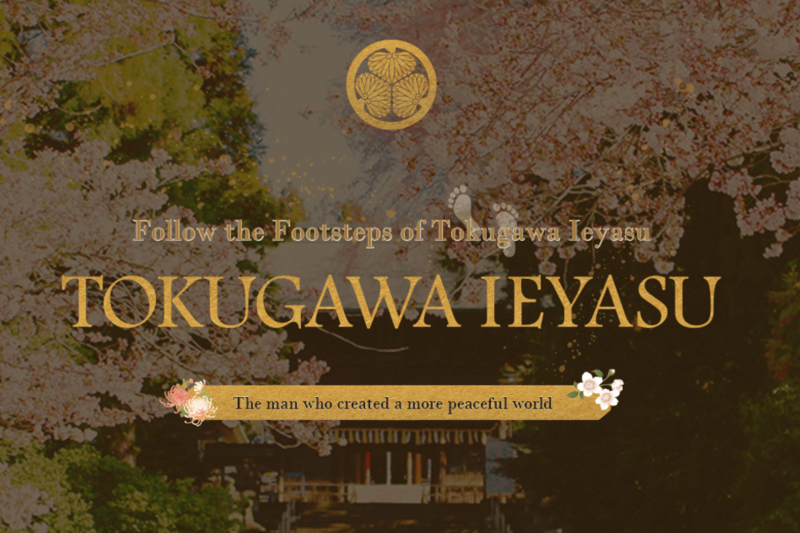 He promoted foreign trade and sparked the birth of the Gion Festival. Location: taken about 7 min from The JR Kokura station. The Yasaka-Jinja (Yasaka Shrine) is located inside of the Kokura-Jou (Kokura Castle) in Kitakyushusi-Kokurakitaku. When we visited this shrine, we were astounded by the magnificent contrast between the stone wall and the gigantic Torii surrounding the front of the castle. 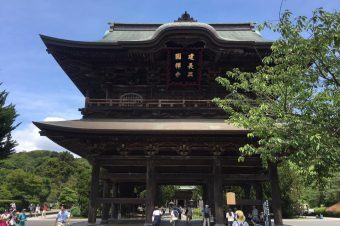 In 1617, it was built under the name “Gion-sha.” by Tadaoki Hosokawa, who is known as sochinshu (local Shinto deity) of the domain of Kokura (Japan was once a feudal system). The shrine is a branch of the Yasaka Shrine that lies in Gion, Kyoto.In 1868, Shinhfutsu-bunri-meirei (the ordered separation of Buddhism and Shintoism) changed the shrine’s name from “Gion-sha” to “Yasaka-Jinja (Yasaka Shrine).”Yasaka-Jinja (Yasaka Shrine) is famous for the Kokura Gion Festival.It is commonly known as the reitai festival (the name for the main festival of any shrine), which has a history of occurring for 390 years since 1618. 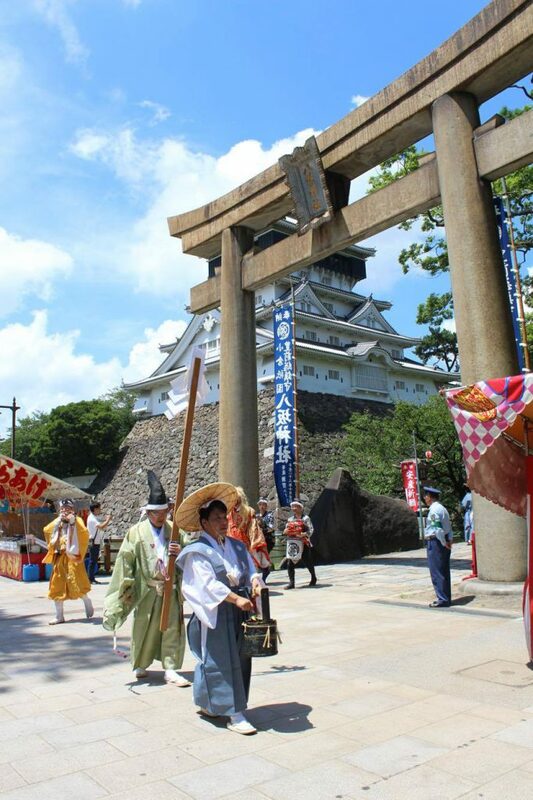 It is now organized on the third Saturday and Sunday of July every year.The castle stands next to a big shopping mall, which makes it a very convenient location for both local people and foreign visitors. You should pay a visit! 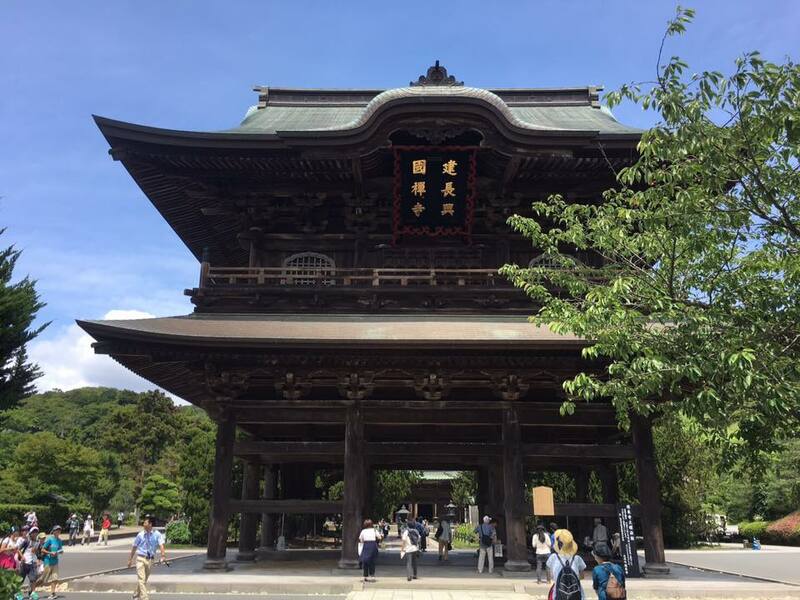 This shrine is famous as being dedicated to Yamakasa. 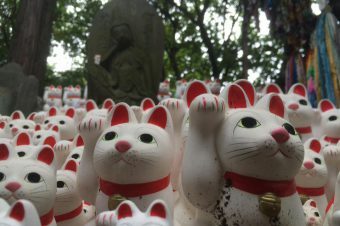 According to reports from Tobihata Hachimangu, an epidemic spread throughout the area of Tobata in the Fukuoka prefecture and local people suffered from it. At that time, people prayed to the enshrined deity of this shrine and soon after it was stamped out. 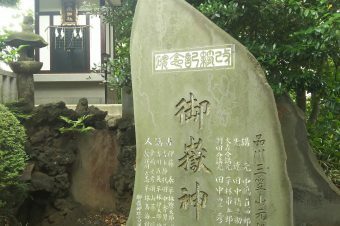 In order to show they were grateful, they dedicated the shrine to Yamakasa in the month of July. 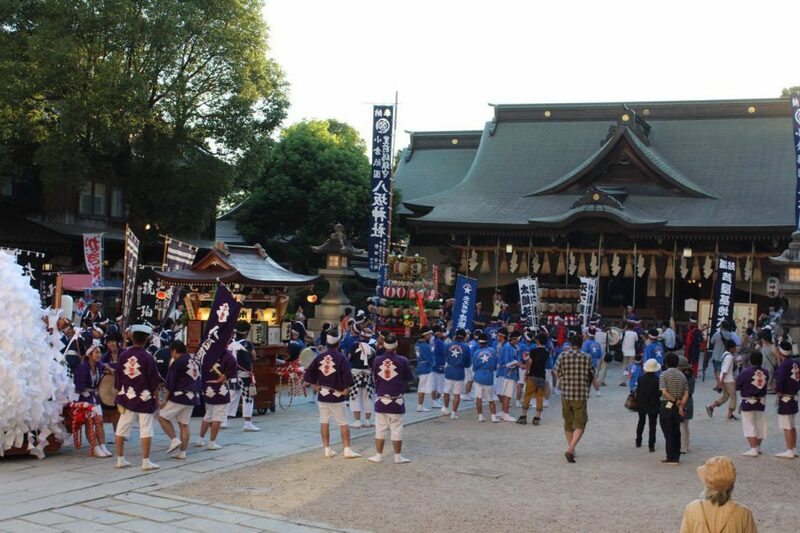 That’s why the Tobata Gion festival takes place in Tobata in July every year. 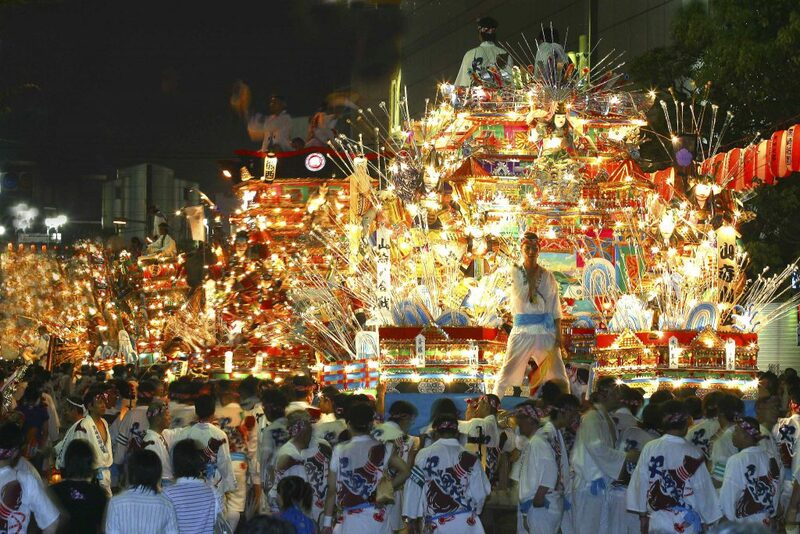 It is a very popular Japanese festival. Check it out! The Mekari Shrine is located at the edge of the Kyushu island. It lies right next to the Kanmon Straits Bridge, which connects the Yamaguchi prefecture and Fukuoka prefecture. The view from this shrine of the Kanmon Straits Bridge is absolutely marvelous and it is difficult to express what it looks like. In the Mekari Shrine’s Shinto ritual called Mekari Shinji Wakame, a sea vegetable is cut from the ocean at low tide. This vegetable is then offered to an altar during a ceremony conducted in the early morning hours New Year’s day, according to the old lunar calendar. 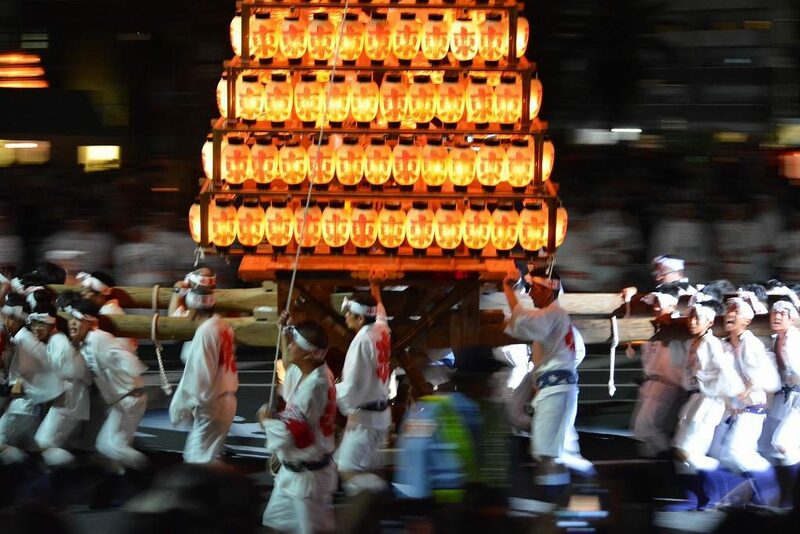 The ritual is thought to bring about good luck and has been designated as an ‘Intangible Folk Cultural Asset’ by the Fukuoka prefecture. The Japanese started learning brand-new technical skills from other continents since the Meiji restoration happened. Many factories and warehouses were made for creating ships, military science, and so on. – Governmental Yahata Ironwork’s current office (outlook space) This is the best spot to overlook the entire factory. Why don’t you take some pictures and put them on your social media? 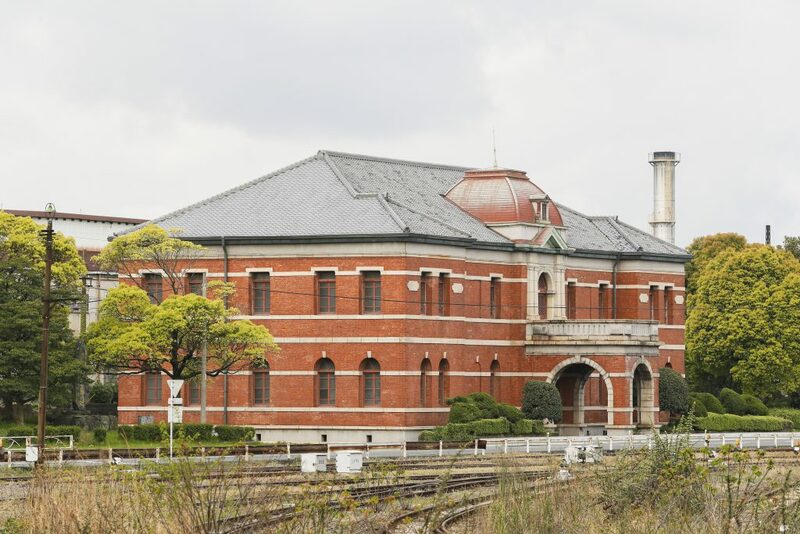 The government of Japan during the Meiji Era decided to build government-managed steel ironworks in the ward of Yahata in the Fukuoka prefecture. This area is close to the ocean and the area of Chikuho, which has an abundance of coal. The government aimed to build many large size ships, factories and railways in Japan, therefore, the amount of imported copper sharply increased. In order to keep Japanese currency within the country, it became necessary to produce domestic copper. The creation of the Yahata Steel Works indicated steel-producing technology advancing to a more important period than before. 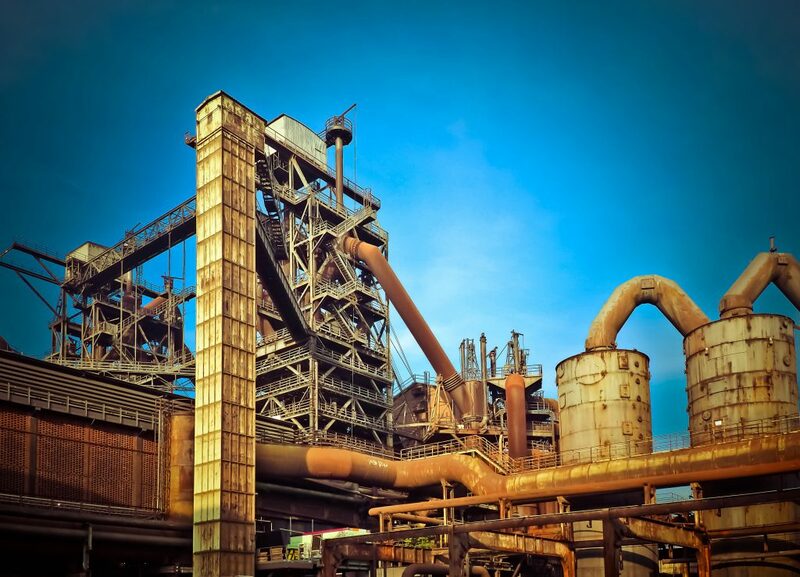 With the building of the Yahata Steel Ironworks, the latest Western technology of the time was introduced. The factory also hired an engineer from Germany. To operate the blast furnace, skillful workers were assembled from other steel works, such as the Kamaishi Steelworks, which is oldest steelworks in Japan. 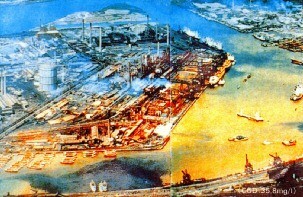 The Yahata Steel Ironworks was in operation as of 1901, however they faced many problems. Although they introduced employees and equipment from GHH, a Corporation in Germany, they could not use the equipment as expected. The factory could not work the blast furnace as of 1902 due to financial issues. Russo‐Japanese War broke out in 1904, so the factory re-opened, but failed to operate once more. At that time, a Japanese engineer thought carefully about why it wasn’t working well. They worked diligently to review, revise and improve their plans. Additionally, the factory built a new coke oven, which makes high quality products. Due to all this hard work, the factory finally became operable and a success. This event reflects the movement and spirit of industry in Japan. This club is designated as an important cultural property. It is built in a European wooden style. The building has a wooden body, which was solidified by bricks, stones, and stucco. This place is famous for housing Albert Einstein when he visited Japan. The room where he stayed was left exactly as it was. 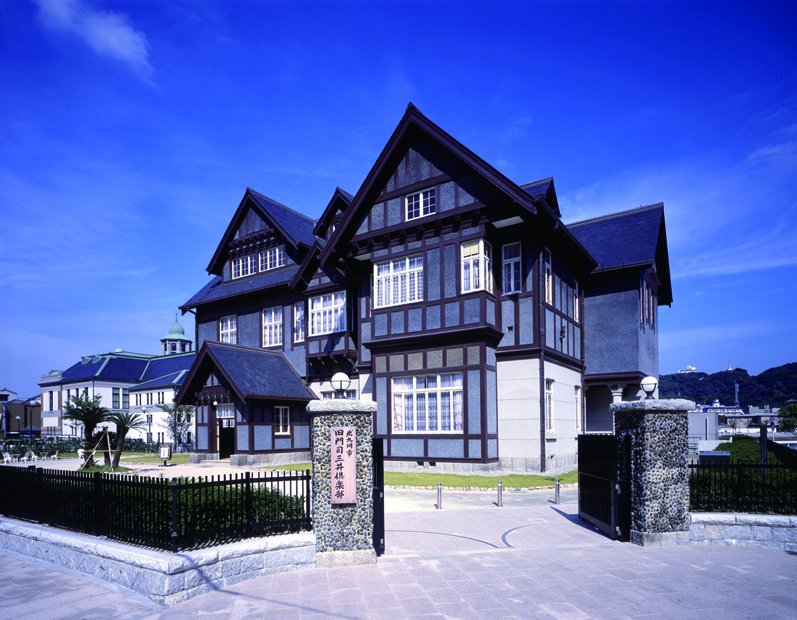 The present usage of the Mitsui Club is a restaurant on the first and a museum on the second recognizing famous Japanese women writers who came from Kitakyuhu. Ex-Mitsui club is a popular restaurant for local people. The dishes inside this high-class restaurant are exceptional. The Kaiseki Ryori (traditional, formal, multi-course Japanese dinner) with half-Japanese and half-Western dishes is highly praised. Also, I recommend you enjoy the sashimi of fresh tiger puffer fish, because Moji-port is famous for puffer fish. 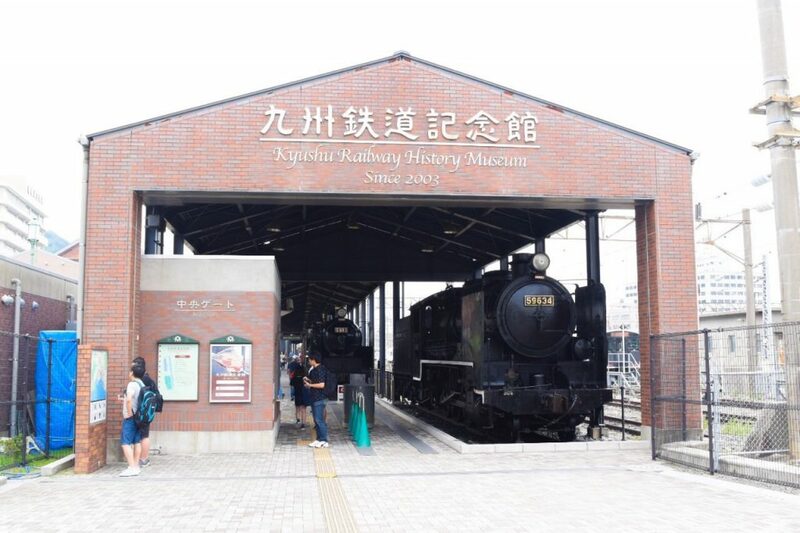 This museum stores historical trains, which are a modern symbol of Japanese development. It one of the most popular spots because you can play a simulation driving game and learn about the development of Japanese trains. 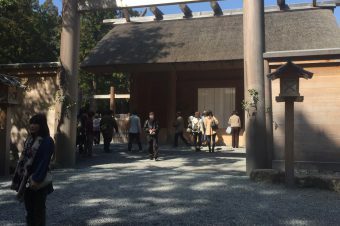 We have been studying the Meiji restoration at the above locations. The Japanese government has awarded the city of Kita-Kyushu as an Environmental Model City, which marks it as being one of the most beautiful and eco-friendly cities in Japan. However, the city was not always this way. 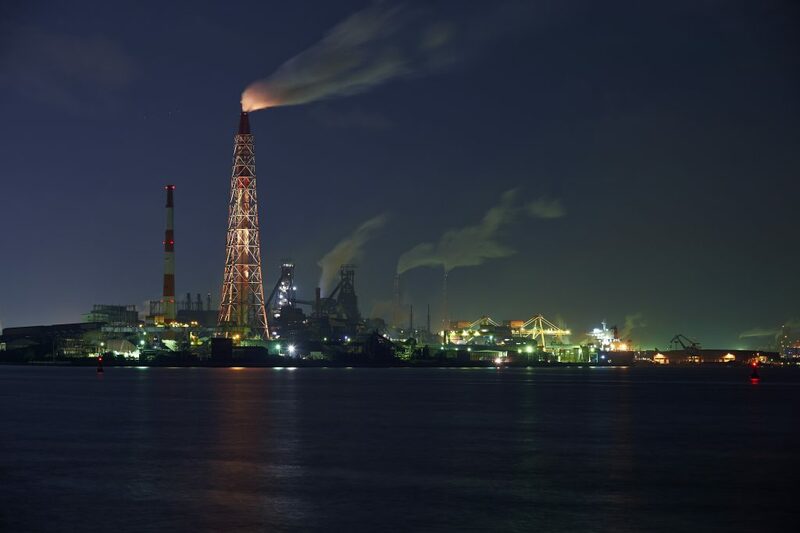 Back in the 1960s, Kita-Kyushu was uninhabitable due to the development of industry, such as the ironworks, which produced toxic gas discharge and water pollution. Below you can see the city of Kitakyushu. This city is Kyushu’s northernmost city and acts as an international city with over a million people. The city borders the main island of Japan across the Kanmon Strait. 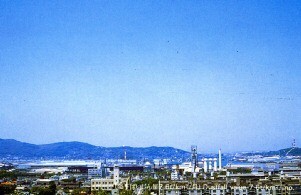 In the 1960s, Japan underwent rapid economic growth, during which the area of Kitakyushu developed into one of the country’s four largest industrial zones. 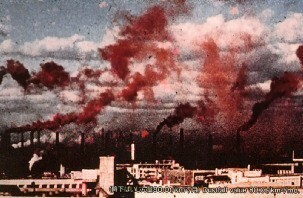 However, due to the growing industry, the air and water became very polluted. The Dokai Bay, which was located in the center of the city’s industrial zone, was contaminated by industrial and domestic wastewater that progressed to such an extent that the bay was called the “Sea of Death.” Seeing the horrible consequences of their action, the entire area of Kitakyushu- the residents, businesses, and the local government- all miraculously united to overcome the pollution. In 1971, prior to the establishment of the Environment Agency by Japan’s national government, Kitakyushu founded the Environmental Pollution Control Bureau (now called the Environment Bureau). Kitakyushu also established a number of regulations, including the “Kitakyushu Pollution Control Ordinance,” which was more stringent than the national laws at that time. The ordinance enforced a series of effective measures that targeted major companies in the city, including the execution of agreements to prevent pollution and to pursue a large-scale urban greenery movement. Although Kitakyushu caused the horrible pollution of their city, they also reversed their actions and saved the environment by unifying the residents, businesses, and local government with the same goal. In this way, the city was able to take advantage of its accumulated technology and knowledge to contribute to environmental improvement in developing countries. With the broad support of over 200 businesses, academic institutions, NGOs, and governmental organizations in the area, Kitakyushu has accepted 5,366 trainees from 133 countries (as of the end of March 2009) and has sent experts to different countries to form a base for the development of environmental human resources in Asia. As part of the city’s international cooperation activities, Kitakyushu has extended its hands in cooperation to the city of Dalian in China, its friendship city, to improve the environment by adopting the “Dalian Environmental Demonstration Zone Plan” as part of an ODA development survey. 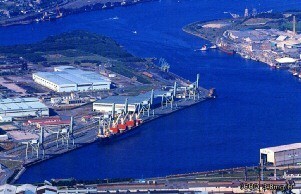 Similarly, Kitakyushu has also implemented the “Japan-China Recycling City Cooperation Project (Eco-Town Cooperation)” with the cities of Qingdao, Tianjin, and Dalian in China, by making use of the city’s experiences and know-how in the implementation of the Kitakyushu Eco-Town Project, as well as other ventures, to support the creation of a recycling society in China. Cooperation activities on waste management, making use of composting technologies for organic waste, are also being carried out with Southeast nations, such as Thailand and Indonesia. You can visit the city of Kita-Kyushu from Fukuoka city by an hour by train, 23 min by Shinkansen (bullet train), 1 hour by bus, which is quite close from center of Kyushu. You could also use Kita-Kyushu airport. 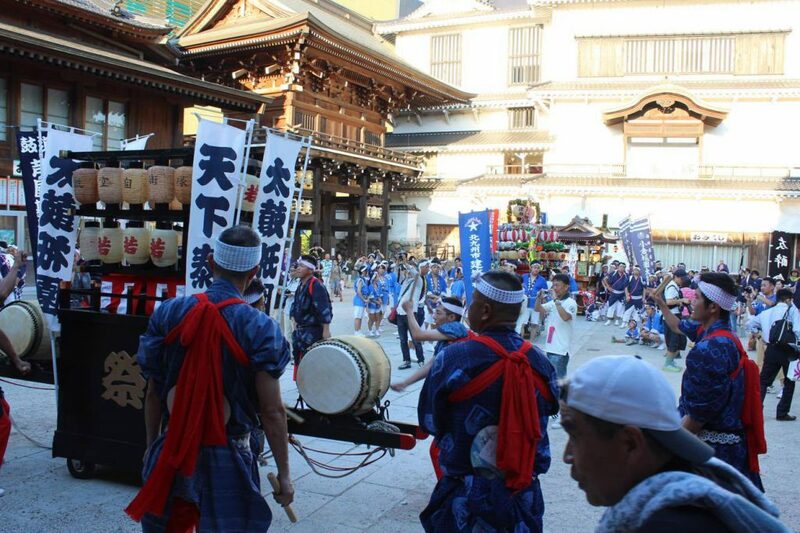 You will find your own flavor of the city of Kita-Kyushu whichever way you get there.